In the early 1980s, the Village of Clinton, Michigan held a “Christmas Walk” on the Sunday after Thanksgiving each year. 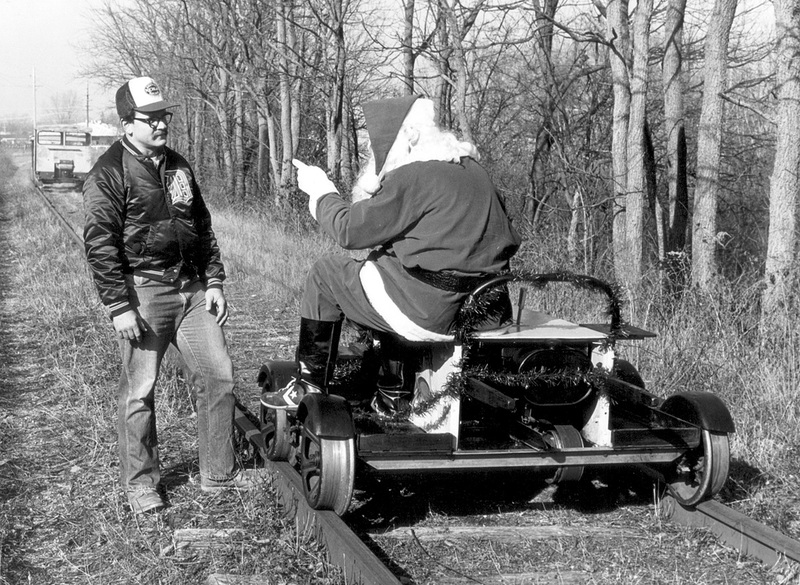 Being civic-minded, the newly formed Southern Michigan Railroad Society (SMRS) worked with the village to bring Santa to town each year and hosted an open house for families in the under-renovation SMRS museum building. The exercise promoted the fledgling SMRS, and at the same time provided a service to the community. 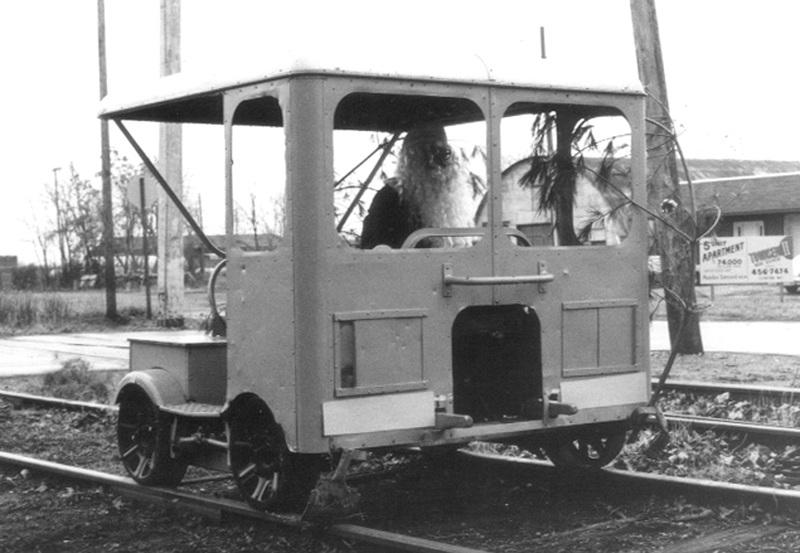 In the first years of the SMRS, the group owned no locomotives nor passenger cars. Only track motor cars were being used on the line. 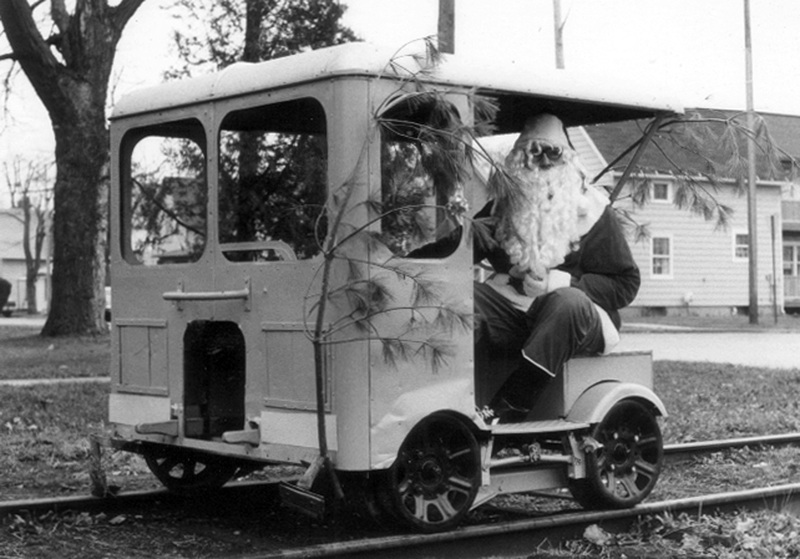 So it was a natural decision for Santa to arrive by motor car! 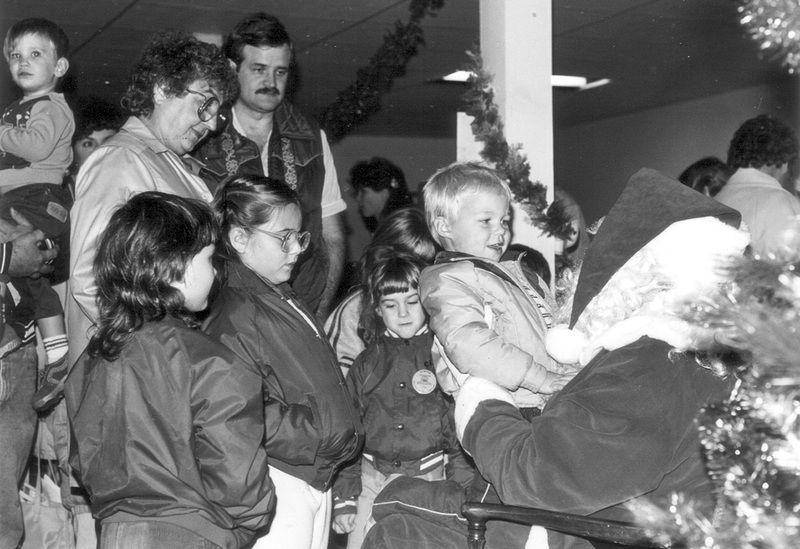 The man behind Santa was Neil Hunter, the editor of The Clinton Local, the village newspaper. 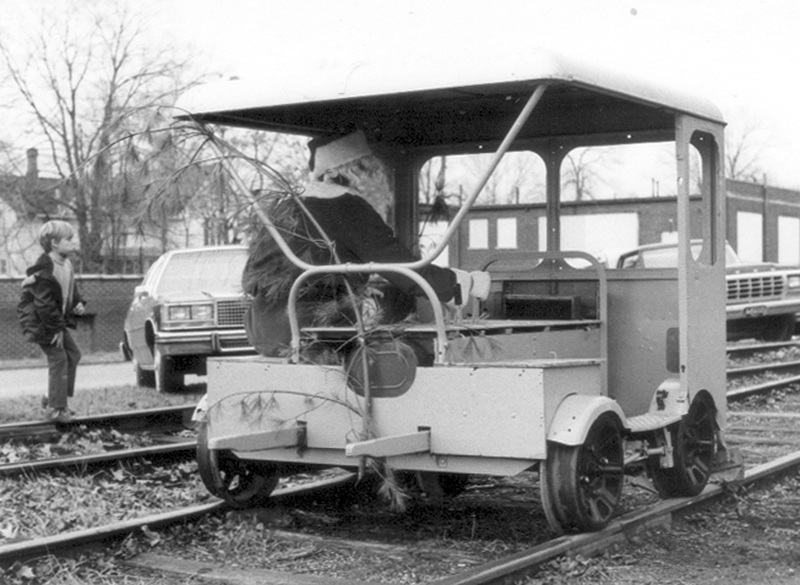 In 1983, Santa came to town on the first motor car owned by the SMRS, ex-Ann Arbor #M-76. The car had been donated to SMRS earlier in the year, and was not yet completely restored nor in running order! 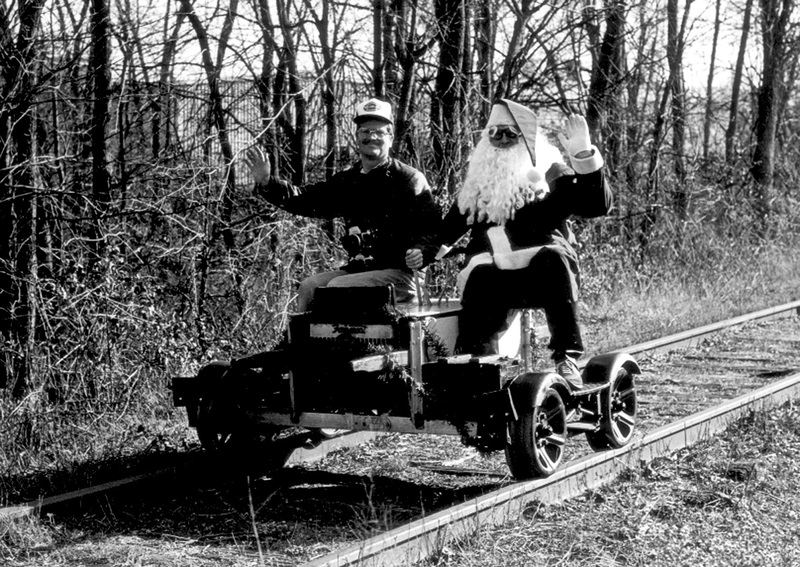 Although Santa was pushed into Clinton that year, but at least he came by rail! By 1984, SMRS had upped its game! Several running motor cars were on the property. SMRS member Doug Leffler hosted Santa on his ex-New York Central Fairmont M9, swooping into Clinton from around the curve by the Pallox Company. 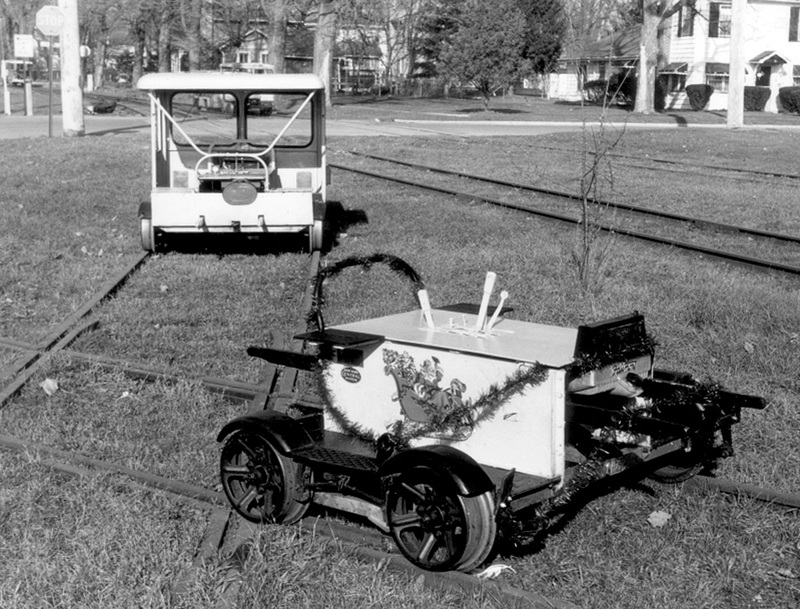 And the SMRS had another motor car running, giving short rides to children from the museum building in Clinton to the south end of the yard and return. Again parents and children were invited to the museum building to meet with Santa. Coffee and refreshments were available, and a small exhibit of railroad artifacts were on display.